On April 17, 2018, a Southwest Airlines Flight 1380 with 149 passengers and crew on board bound for Dallas from New York had an uncontained engine failure shortly after take-off requiring the Boeing 737 to make an emergency landing in Philadelphia. As it flew 32,000the engine had an uncontained engine failure sending shrapnel into the aircraft cabin. A woman was partially sucked out of the cabin window. She was the first fatality on a U.S.-registered airline in more than nine years. Early investigation by the NTSB Safety Board has determined indications of metal fatigue in the area of the missing fan blade. The cowling of the left engine was ripped off and found 60 miles away from the Philadelphia airport. The investigation is ongoing. Just last February, Southwest Airlines Flight 604 bound for Los Angeles from Salt Lake City experienced a fire in the right engine shortly after take-off. Video taken of the flight from the ground shows the blazing fire in the distance. The Boeing 737 immediately returned to the airport for emergency landing. The 110 passengers on board were evacuated utilizing the emergency slides. In 2016, Southwest Airlines Flight 3472experienced an uncontained engine failure of the CFM-567B engine during the flight from New Orleans to Orlando. As in Southwest 1380, a piece of shrapnel from the engine pieced the fuselage of the aircraft. United Airlines has also had a string of engine issues. On February 13, 2018, United Airlines Flight 1175 bound for Honolulu from San Francisco experienced sudden shaking after the cowling, or outer casing, of one of the engines, ripped off mid-flight. 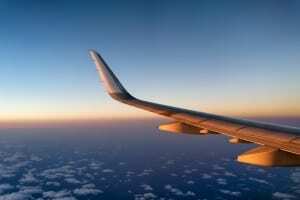 Passengers heard a loud boom followed by a whining sound and the entire plane shaking. For approximately the next hour, passengers watched in horror as pieces of the cowling continued to rip off of the engine and fall into the ocean below. Some passengers filmed the exposed engine and the violent shaking inside the cabin. Oxygen masks hung from the ceiling and crew members instructed passengers to brace for landing. The 363 passengers on board were relieved when the aircraft finally landed. On May 23, 2017, an engine on United Airline Flight 1579, a Boeing 757 carrying 124 passengers and 7 crew on a flight from Newark to San Francisco, caught fire shortly before takeoff from Newark airport. Then, less than two months later, an engine caught fire on United/ Sky West Flight 5869, a CRJ aircraft carrying 65 passengers and crew, shortly after landing in Denver after a flight from Aspen. American Airlines had a widely publicized uncontained engine failure and fire in October 2016 in O’Hare just before take-off causing passengers to evacuate using emergency slides. The Boeing 767 was equipped with a GE CF6-80 engine. The NTSB determined that the cause of the fracturing of the disk in the engine was a crack created by the inclusion of dust during the manufacturing process. As early as 2000, US Airways, which is now owned by American Airlines, experienced an uncontained engine failure on the Boeing 767 during ground testing. In 2006, an American Airlines Boeing 767 had the same failure during ground testing, but that time shrapnel was sent into the fuselage and as far as 3,000 feet away. Foreign airlines have experienced engine issues as well. British Airways Flight 2276 in 2015 sustained an uncontained engine failure and fire prior to take-off in Las Vegas similar to the American Airlines 383 incident the following year. The Boeing 777 was equipped with a GE90 engine. Qantas Flight 32 had an uncontained engine failure in 2010 of the Rolls-Royce engine on the Airbus 380 aircraft. In 2002, an Air New Zealand Boeing 767 had an uncontained engine failure of the CF6-80 engine six minutes after take-off. Passengers seeking further information about these or other incidents and legal remedies available may complete the Contact Form at www.wisner-law.com or call Wisner Law Firm at (630) 262-9434. Wisner Law Firm partners can also be reached directly: Floyd Wisner at faw@wisner-law.com or Alexandra Wisner at awisner@wisner-law.com.